The First Nations Curriculum Concentration is one of the only specializations in North America that enables students to focus on Indigenous information initiatives and systems, including language preservation, digitization, research and governance. The concentration prepares students to work with, and within, Indigenous communities, and in cultural heritage organizations. During their program of study, iSchool students enrolled in the First Nations Curriculum Concentration (FNCC) develop a strong foundation in their chosen program (MAS, MLIS, or Dual MAS/MLIS). In addition, they build a deep appreciation for the influence of the information professions on Indigenous histories and ongoing Indigenous initiatives. As an integral part of the concentration, students are supported in gaining experience working in Indigenous-oriented information organizations. Students in the MAS, MLIS and Dual MAS/MLIS degree programs must indicate their intention to join the concentration to the FNCC Coordinator before completing their first 24 credits. Note: Applicants will be asked to indicate an interest in pursuing the FNCC in the application questionnaire; this is part of the application procedure only. Students must formally declare their intention to the FNCC Coordinator in order to be registered in the concentration. FNCC students are expected to take an active and strategic approach to selecting their courses in consultation with the FNCC Coordinator. FNCC students who meet the concentration requirements will graduate with "First Nations Concentration" noted on their transcripts. FNCC students are welcomed from widely varied backgrounds. Some students are of Indigenous heritage with a deep, personal appreciation for contemporary Indigenous issues and interests and the ongoing influence of colonization. Other entering students are unfamiliar with Indigenous perspectives and alternate histories of colonization. The versatile structure of the FNCC recognizes, acknowledges, and negotiates these differences. FNCC students are expected to reflect on and respect these differences while selecting courses, engaging with course materials, and interacting with other members of the FNCC and the broader iSchool community. Graduating students in the First Nations Curriculum Concentration should complete the FNCC Course Requirement Form to ensure all requirements are met. FNCC students are strongly encouraged to take courses outside of the iSchool to add depth and breadth to their understanding of Indigenous and settler histories and ongoing Indigenous initiatives in areas of particular concern to his or her professional career. 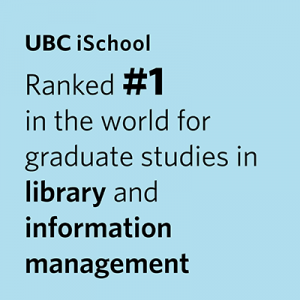 Courses may be taken from any faculty at UBC, at the 300-level or higher. 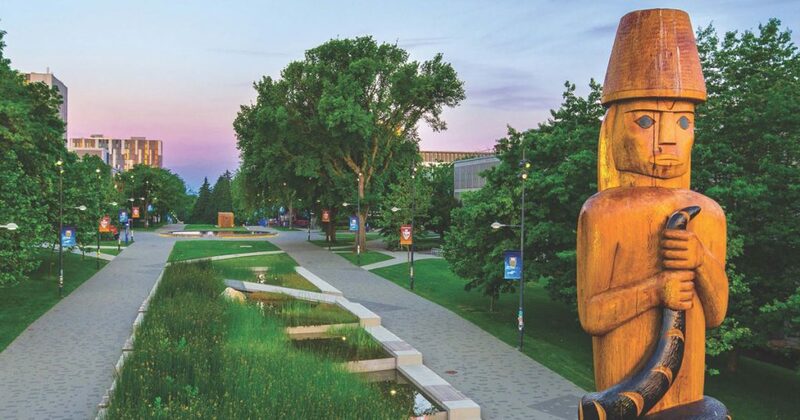 UBC's Xwi7xwa Library maintains a list of courses from across UBC that may be of particular interest to FNCC students, with a significant amount of Indigenous content. If you are interested in a course that is not on this list, please contact the FNCC coordinator for verification before you enrol. FNCC students are allowed a maximum six (6) credits of approved First Nations coursework at the 300- or 400-level in their Master's degree program. All other credits applied to the master's degree must be at the 500 level. The student must obtain the course instructor's agreement in order to take the course for FNCC credit. This must be arranged in advance of the course start date. Specifics are to be worked out between the FNCC student, the FNCC coordinator, and the course instructor. However, permission is required to apply a course outside of one’s designated program (MLIS, MAS, Dual MAS/MLIS) for credit in the FNCC program. Permission must be obtained from the iSchool Graduate Advisor before beginning the course. Under certain circumstances, FNCC students may be permitted to take more than the usual 12-credit limit on external courses. The FNCC student must obtain permission from the iSchool Graduate Advisor to waive the limitation at the time of application for external course credit, in advance of taking the course. When you are ready to graduate, complete the FNCC Course Requirement Form to ensure all requirements are met. The FNCC Coordinator will confirm that you have met the requirements to have the FNCC noted on your final transcript. For more information on the FNCC program, contact the FNCC Coordinator, Sarah Dupont or the Educational Services Coordinator.